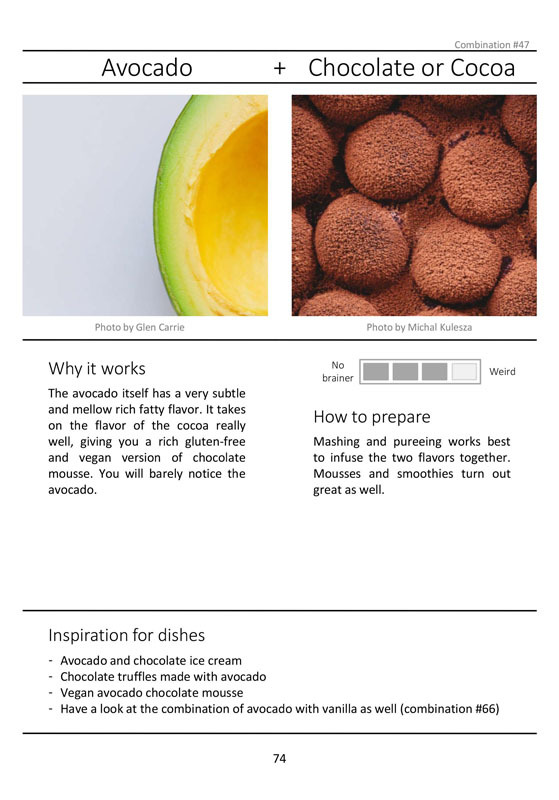 Get your digital copy (PDF) of Flavor Math for only €10! 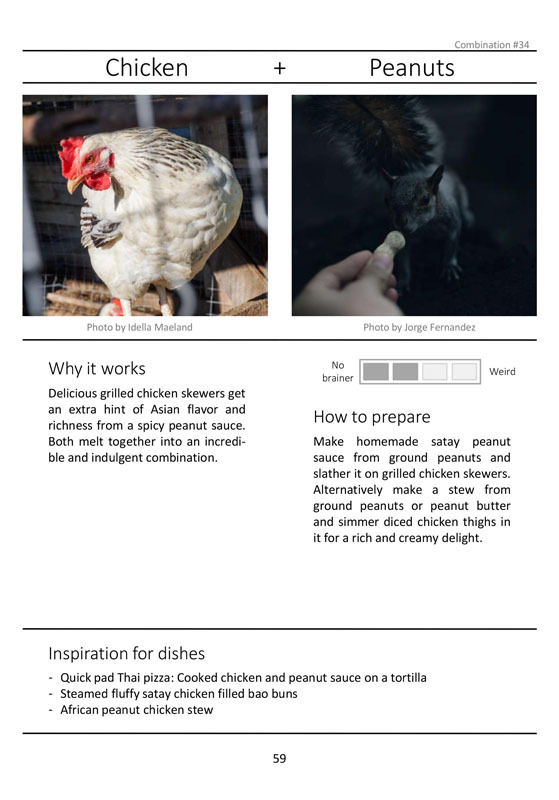 Flavor Math was written with the goal to make food pairing less academic and more fun and approachable for the home cook. 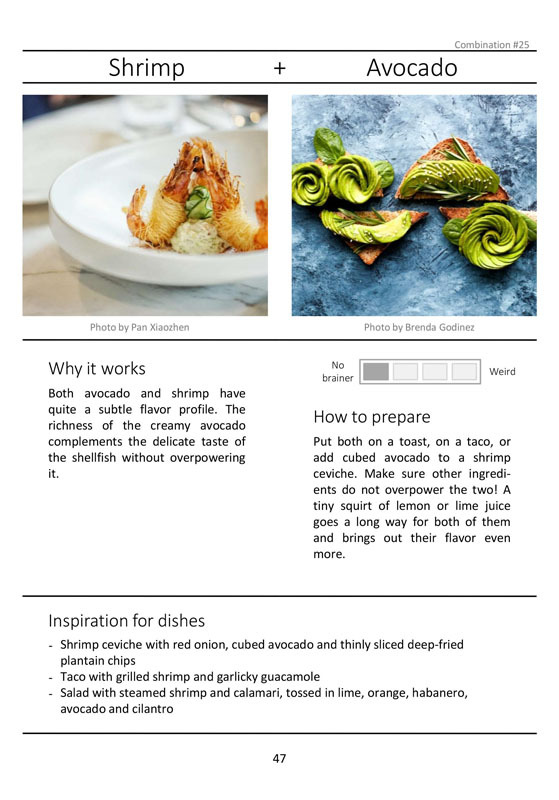 The book will give you the tools that you need to create your own dishes and flavor combinations with confidence. Even after reading just a single page. 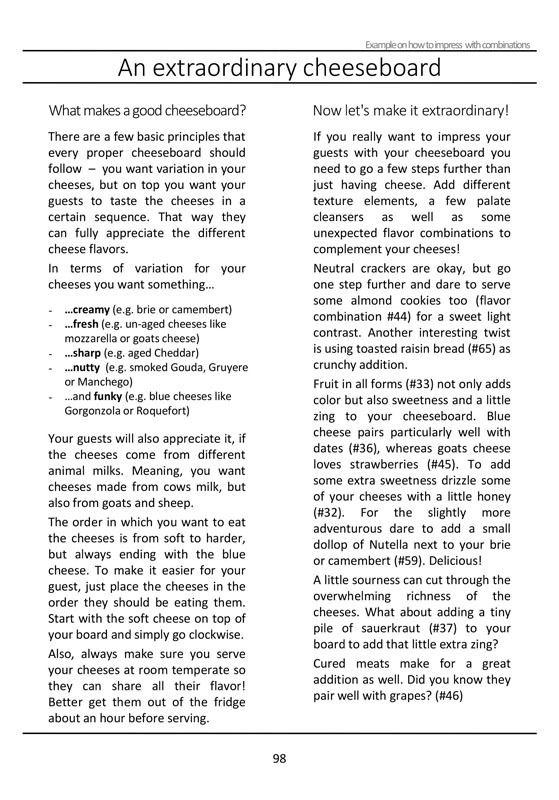 Each flavor combination in the book is presented on a single page and can be read by itself. You don’t need to finish the whole book. Just pick whatever you feel like and try it out. 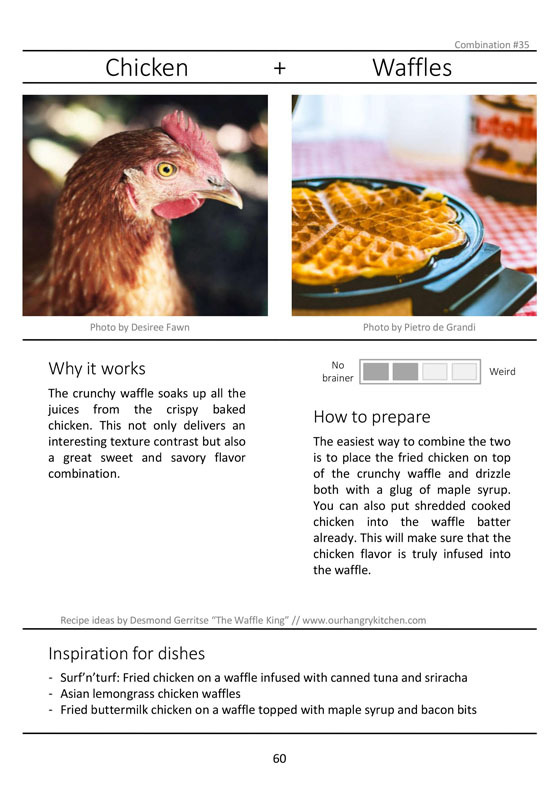 You are planning to buy a cookbook because you love cooking, not because you love reading, right? 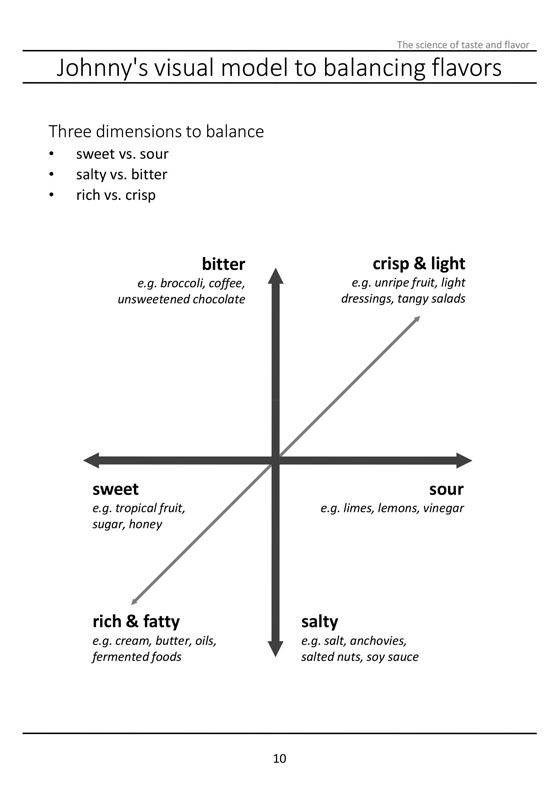 This helps you to understand flavors better and enables you to combine ingredients yourself in the future. 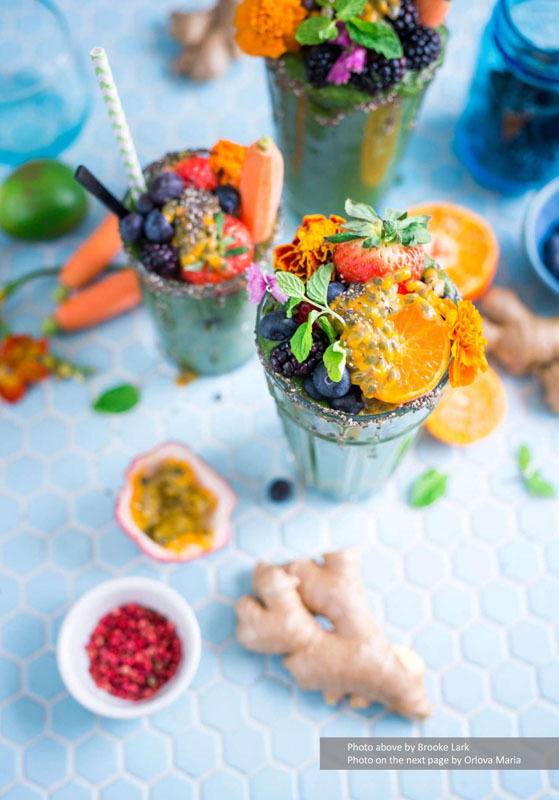 This kick-starts your own creativity and gives you some ideas on how you can use these and similar ingredients in your everyday cooking. To give you some hands-on inspiration, every flavor combination comes with 3-4 dish suggestions. 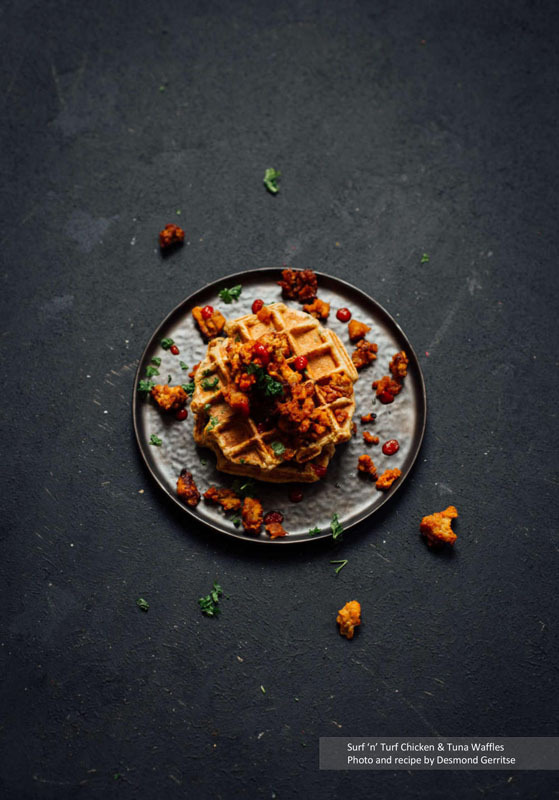 This way you can start right away, even if you don’t feel comfortable and confident enough yet to create your own dishes. 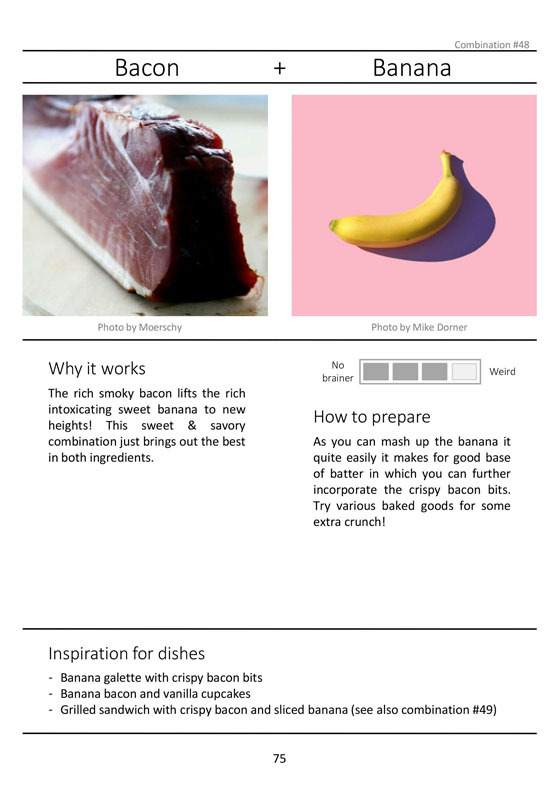 You don’t need a culinary degree to create delicious food. 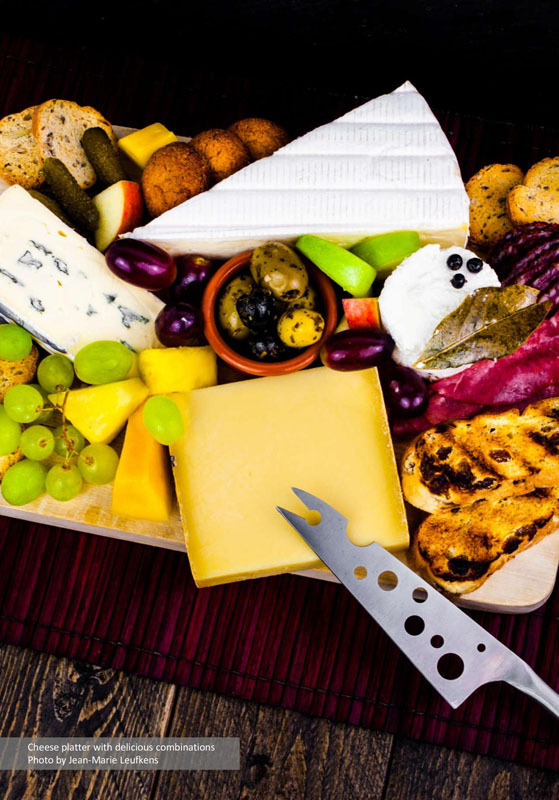 Often we have doubts in the kitchen if we are doing the ‘right’ thing. This is normal because we want to create something that is delicious and that our guests eat with a smile on their face. 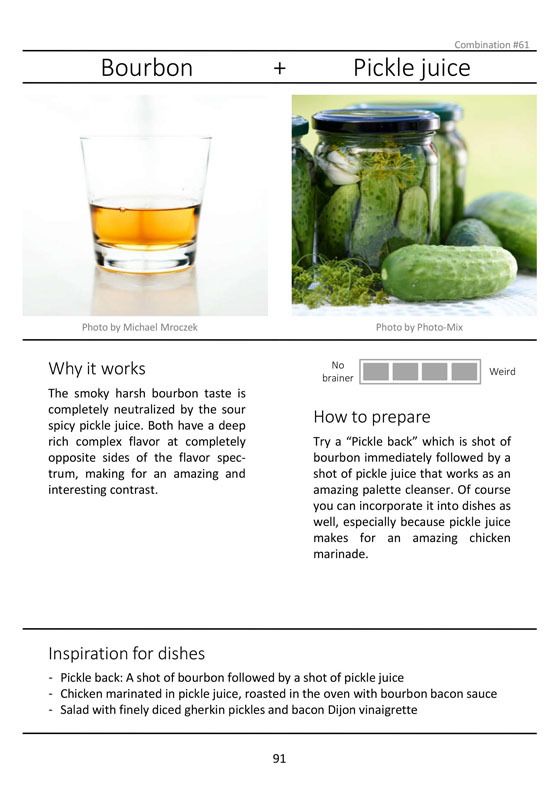 This flavor guide is written by a passionate home cook for other home cooks that share the same passion. It is easy to read and doesn’t contain any culinary fancy complicated words. This cookbook is great for beginners and cooks with some experience. 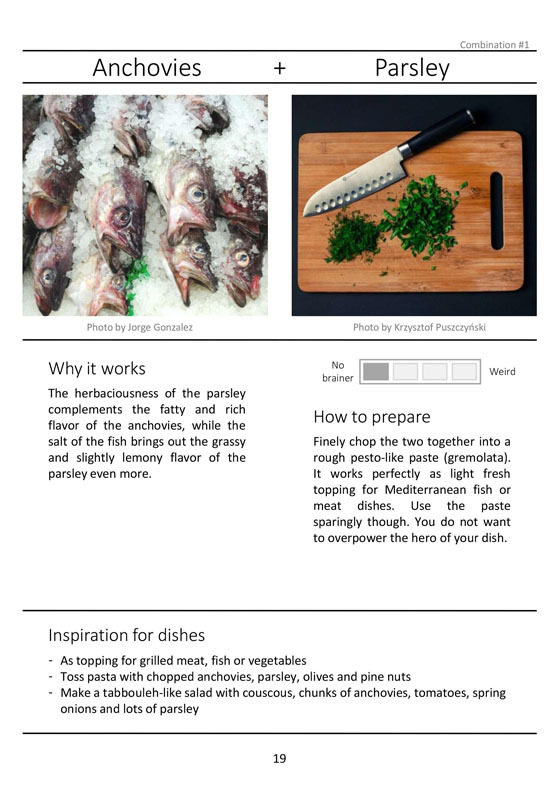 The goal of the book is not to intimidate you, but make you feel more confident in the kitchen. 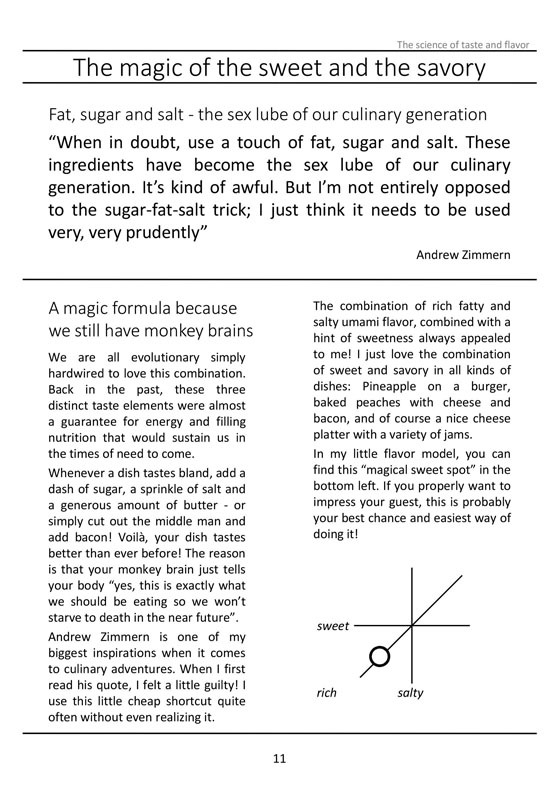 Flavor Math is condensed into 110 pages so you do not get lost and overwhelmed. It’s shorter than most other books on flavor and food pairings. Flavor guides are often huge reference books with several hundred pages, as well as thousands and thousands of possible flavor combinations. These books can be quite overwhelming, especially for the average home cook. 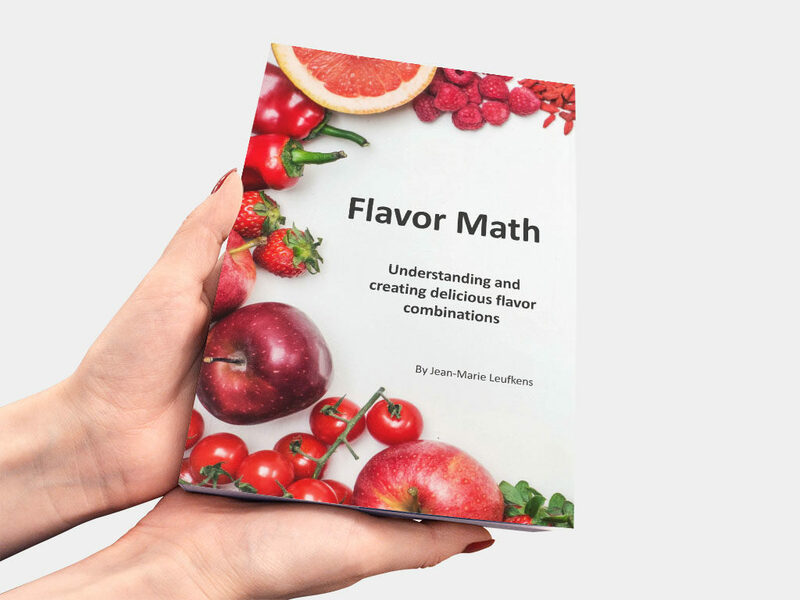 The book Flavor Math features selected flavor combinations that have proven themselves around the world. It is inspired by cuisines from the different corners of the globe, by restaurant menus and by Michelin-star chefs. 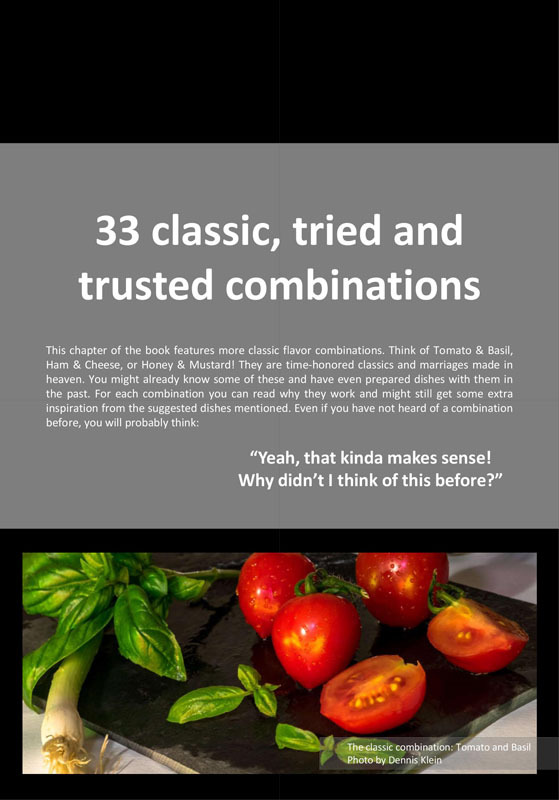 It will not teach you everything there is to know about flavor combinations, but it will give you the tools to be a more creative & confident cook. 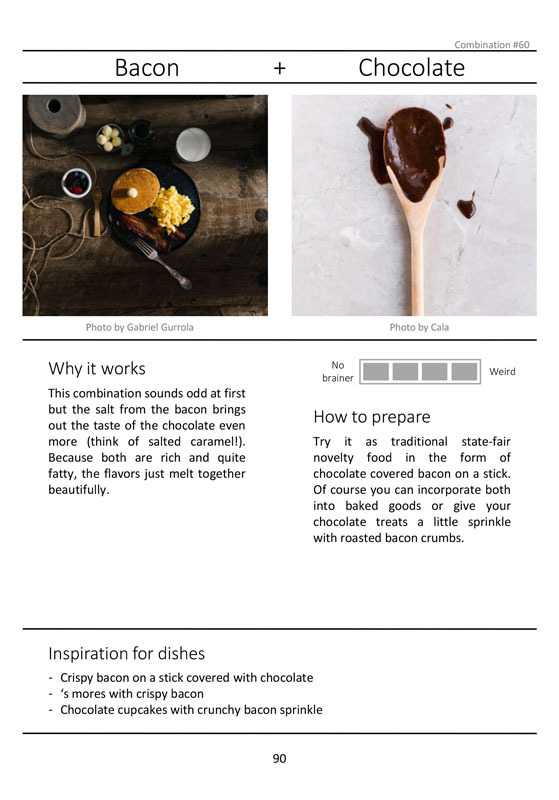 No matter if you cook more traditional or if your cooking style is really adventurous, Flavor Math helps you to put delicious twists onto the dishes that you, your family and your friends, already love. 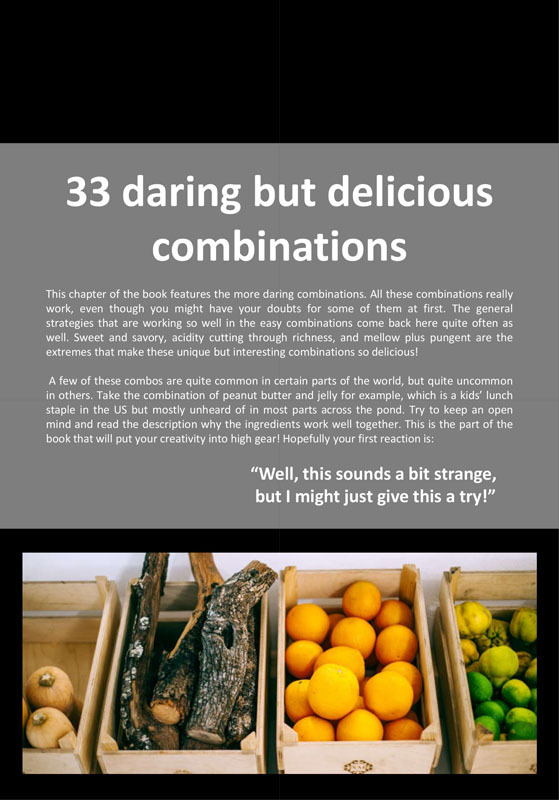 The book features 66 flavor combinations: 33 classic combinations that have proven themselves all over the world, and 33 more daring combinations in case you want to try something new and exciting. For each of the flavor combinations, you will find 3-4 suggested dishes. In total there are about 200 dish suggestions in the book. 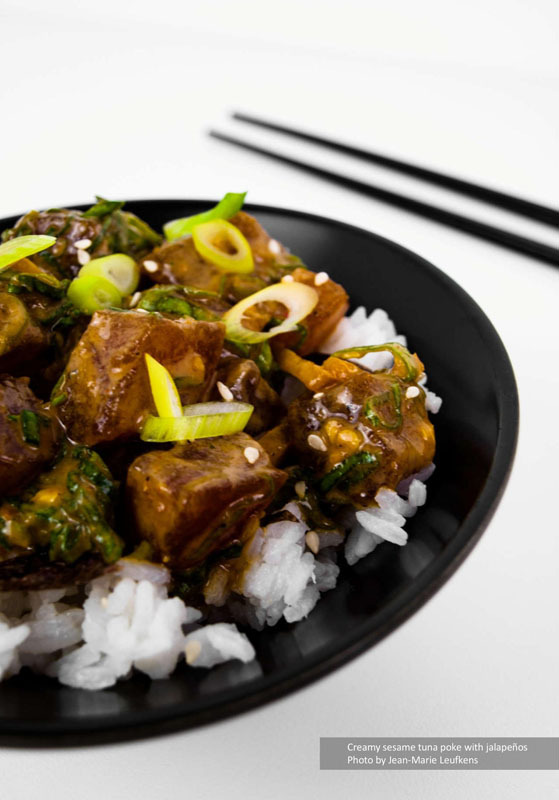 These 200 suggested dishes will largely increase your cooking repertoire so you have something to fall back on regardless of the situation. Still not convinced yet? Have a look inside! 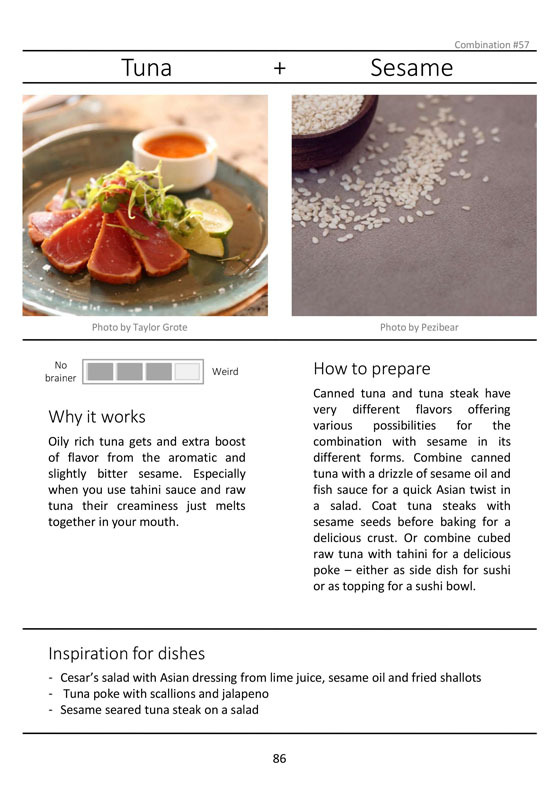 Your digital copy of the book is an unrestricted PDF file that you can view on all devices (laptop, tablets, phone, etc.) without any restrictions. Come on, that’s the price of your regular Starbucks Almond Latte Mocha Frappuccino and a muffin. 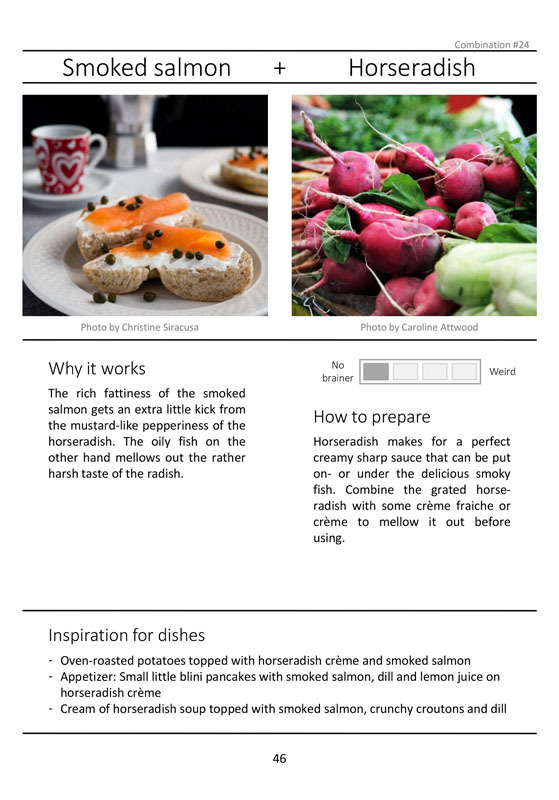 Treat yourself to something proper and become a better and more creative cook!